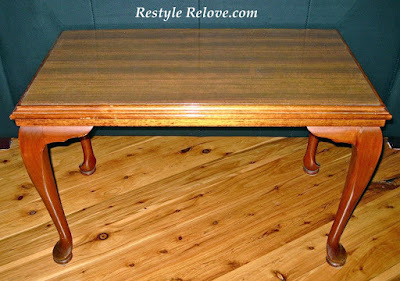 I picked this old coffee table up on ebay. and I was interested to see what I could do with it. Something they forgot to mention in the ebay listing. 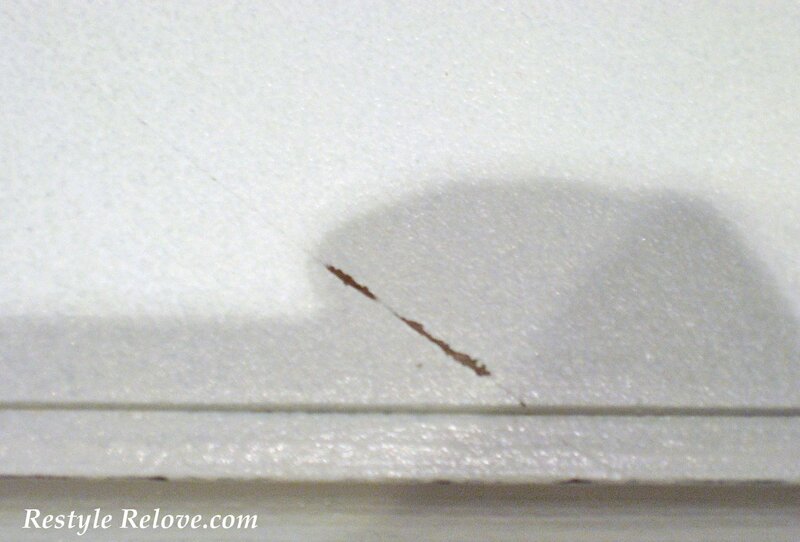 I always tend to steer clear of laminate. It's just plain scary hoping the paint will stick. Zinsser Oil Based Cover Stain primer. Other posts had raved about it. (such as laminate) and will block stains including tanin. then after that had dried I applied a coat of semi gloss paint. 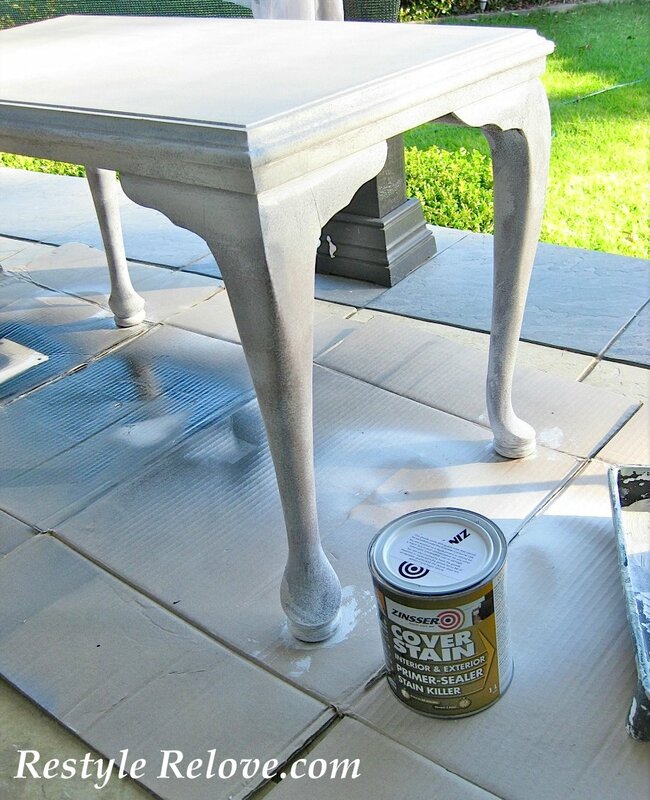 I noticed there was already a bit of scratched off paint on the top, grrr..
AND massive tanin stains had seeped through the paint on the legs. Can you see the brown patches on the legs above? 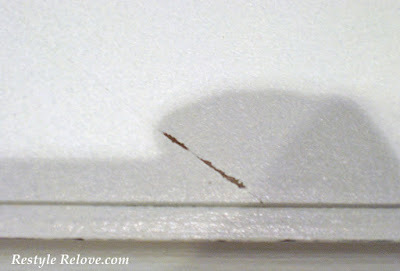 Then I scratched the top surface with my fingernail and the paint flaked off. If you have used it, any suggestions what I did wrong? I'm guessing I didn't mix it properly. As it was Friday night, I still wanted to finish this project on the weekend. 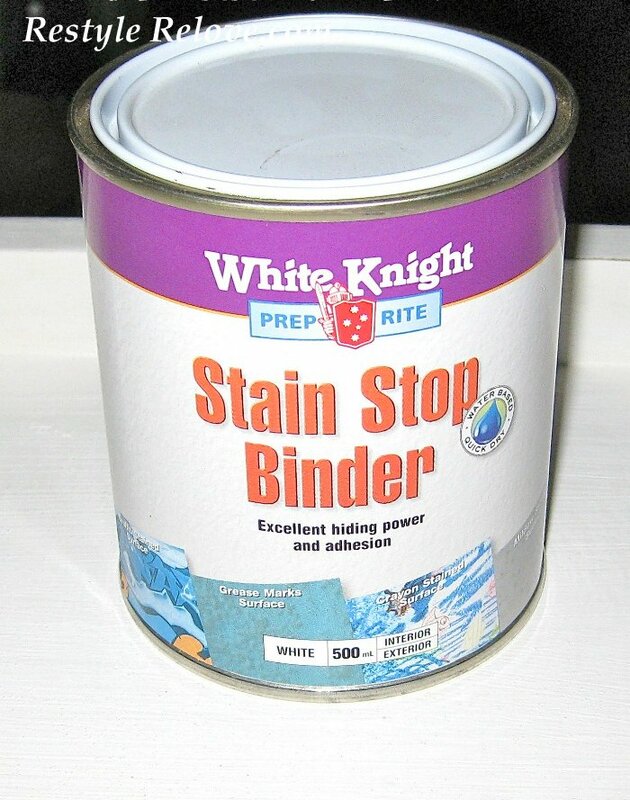 So I pulled out my White Knight Stain Stop Binder and gave the whole piece 2 coats. This covered the stains well. 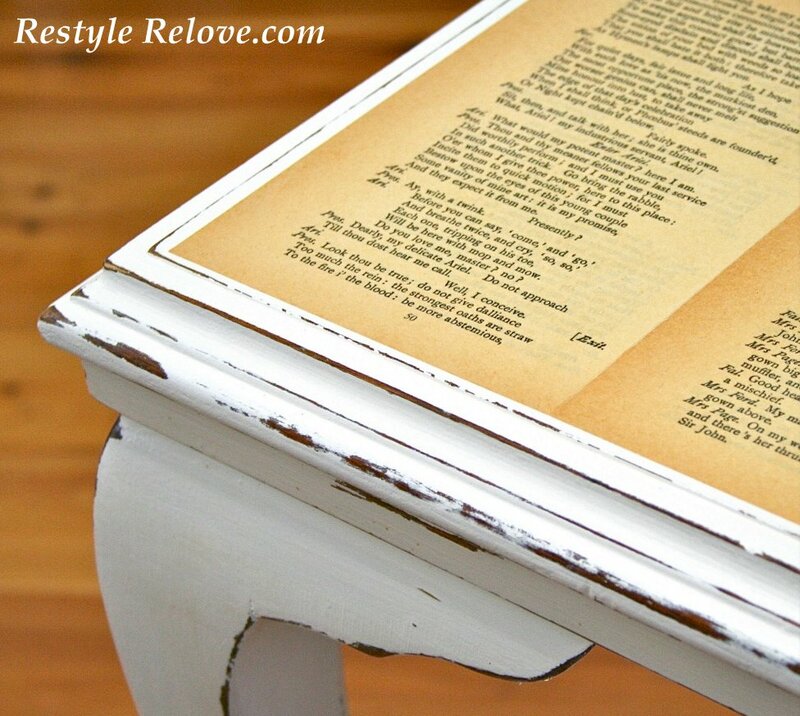 Next morning I added a coat of white chalk paint all over. but wanted to add some detail to the top. but my love of old book pages won out. in front of the tv after the kids went to bed. White Knight Clear Gloss to seal and protect the entire table. worry about scratches or flaking at all now. P.S. Take a peak up in the left hand corner of this photo. That is the leg of my redone writing desk. It's exactly the same design as the coffee table legs!!! take 3-5 days for the paint to fully cure. They also offered to come out and inspect the table. I thought that was really great customer service. what a great redo! thanks for linking up to make it monday! I have shared it on the Brassy Apple FB and twitter pages! 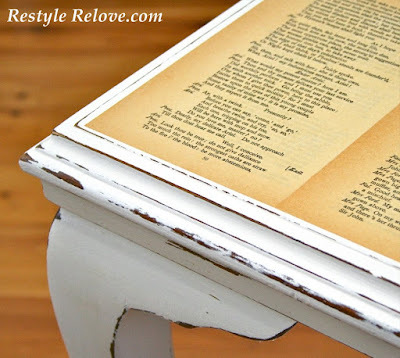 This is a beautiful renovation- love the distressing, and the book pages are a nice touch!! P.S. I also love how you put digital photo corners around your photo!! Thanks Laura. PicMonkey is great for photo editing. Hi Julie: I'm Connie at http://hotflashncraftn.blogspot.com/, your new GF friend. I would love it if you stop by and be mine. This is really ingenious! I just love those faded book pages. 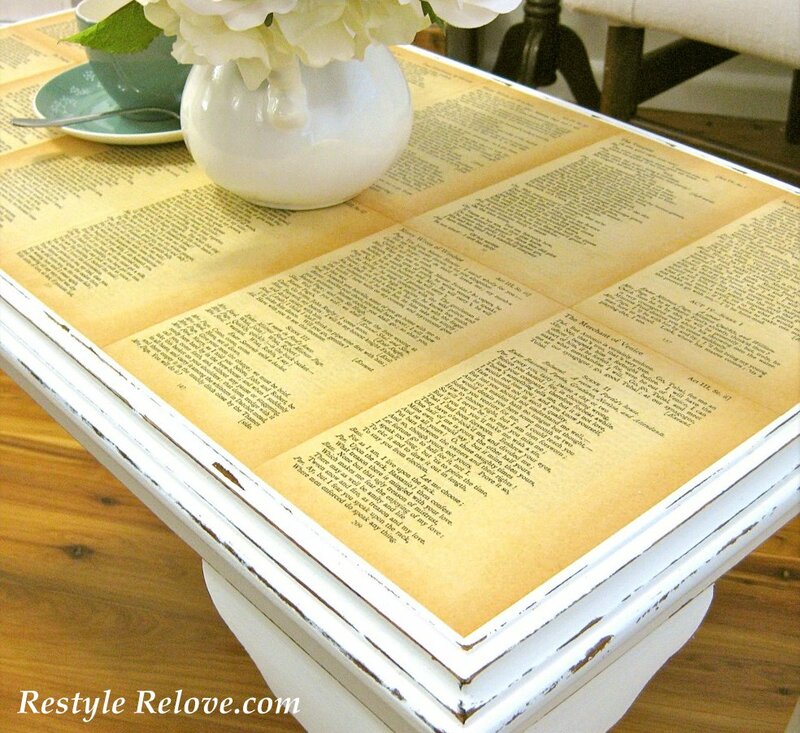 Wow, I really like how your coffee table turned out!! Great job! Oooh I love this....so pretty! 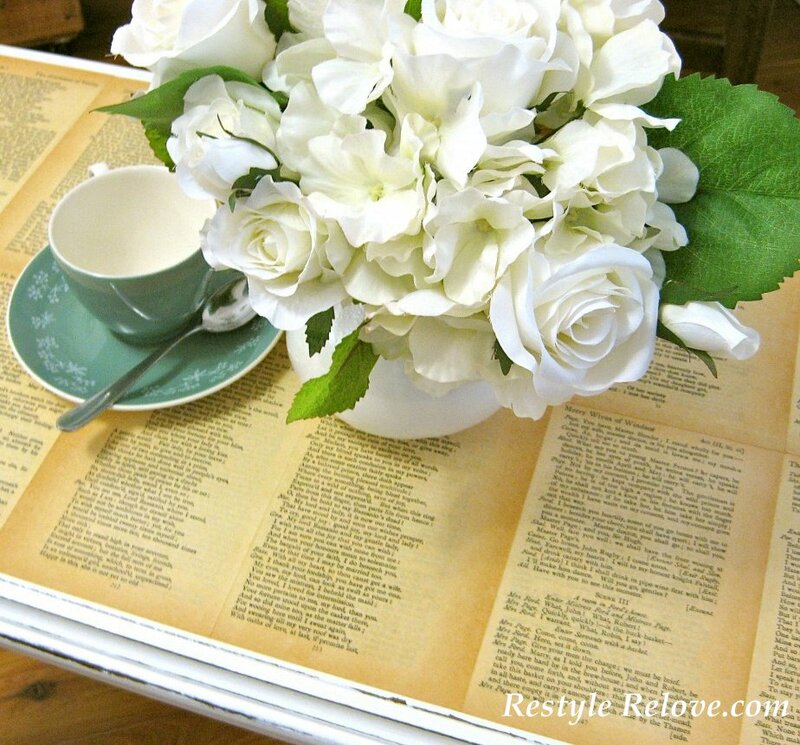 What's your trick to get your pages to lay so flat and not get any wrinkles when using mod podge? New follower...stop by shabbgals.blogspot.com when you get a chance. super cute, julie! 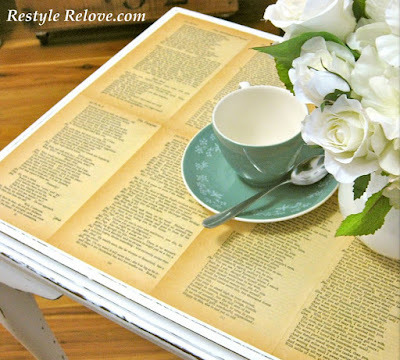 i think that this table was so perfect for the look you created! Great table I love it. I am your newest follower. That turned out fantastic! Sometimes I wonder if some of these factory finishes react strangely with certain products. Glad it all worked out for you! I love it you did an amazing job! Your distressing looks really good, as does everything about it! Hello I am viviting from "blog stalker". 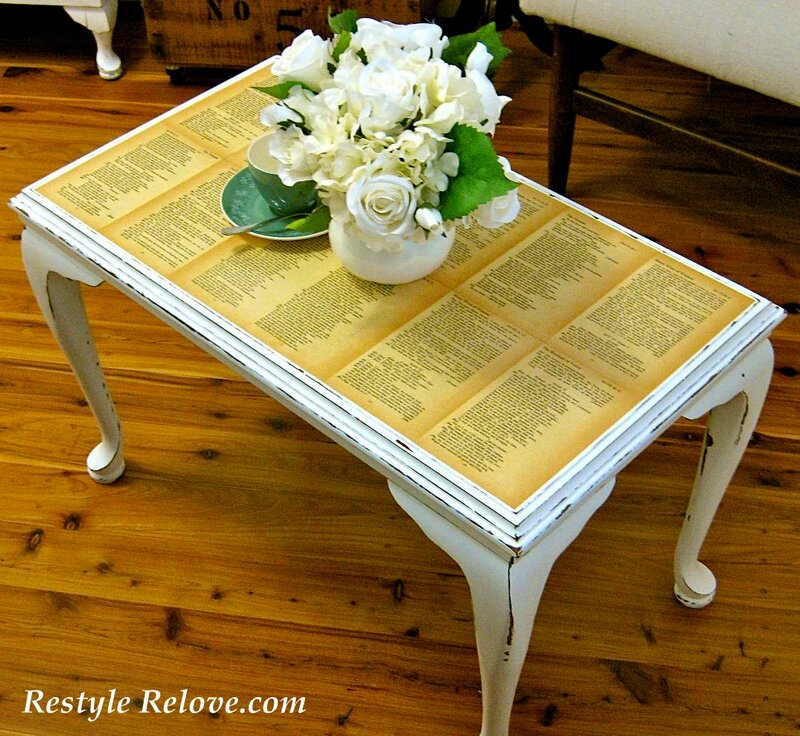 I love how your table turned out. I am definitely becoming a follower. I also think it's major cool that you live all the way across the world in Australia ( one of my dream destinations ). i love this, julie! love your blog name-too cute! This is very nice Julie! I found your project on Pinterest & I love it!! Beautiful job!! 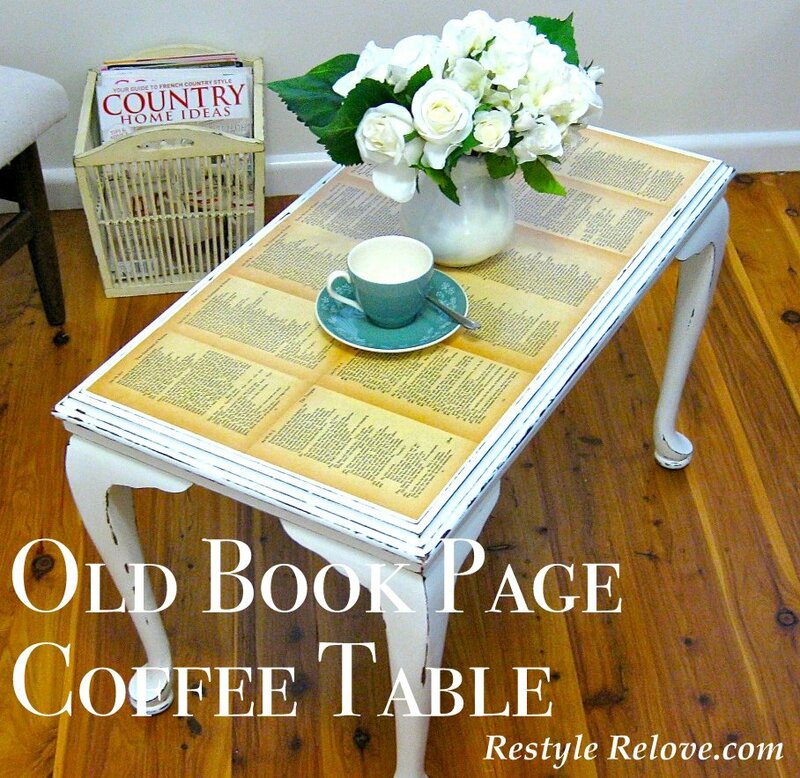 What a beautiful coffee table project--I love the book pages you mod podged on the top. I may try something like this with an older coffee table that is going to be leaving the living room and going into an upstairs room that is turning into a library!